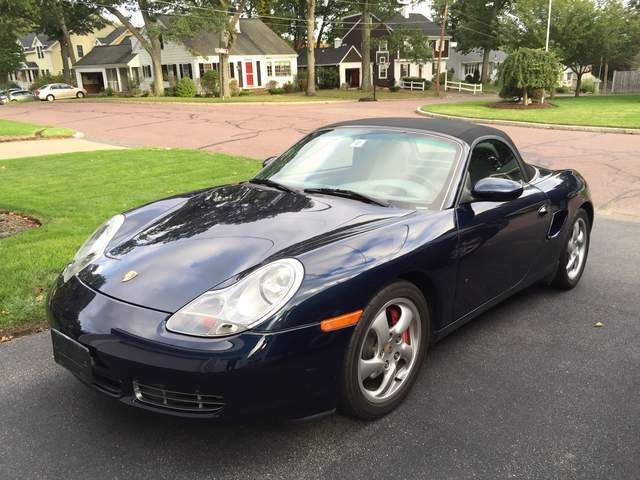 Proud new owner of a 2000 Boxster S 51K miles! 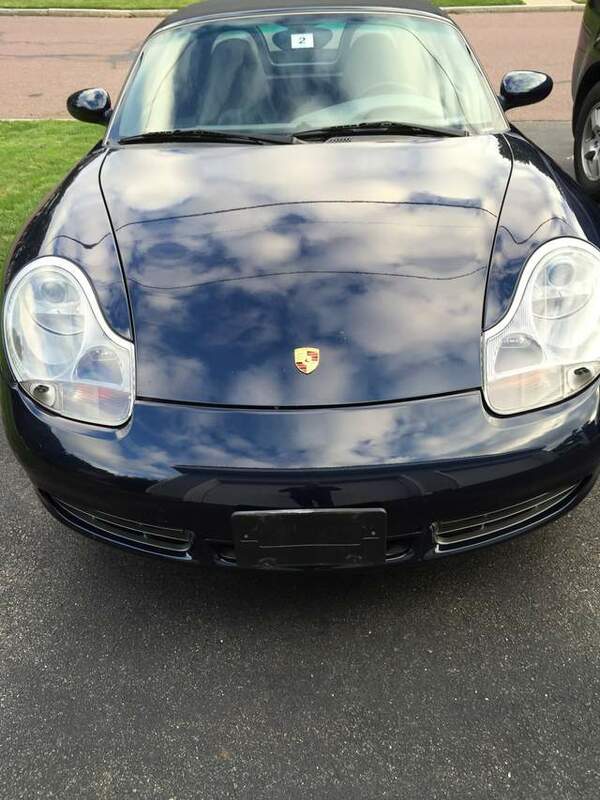 My first Porsche and glad to be a part of the group. Nothing special, Ocean Blue, 6 Speed, HID lights and whatever else I am missing. Going to enjoy what time I have left this season. Nice low mile car! Have fun exploring the car and learning it's different dynamics. P.s. You didn't happen to import it from Australia? Congrats on the purchase! 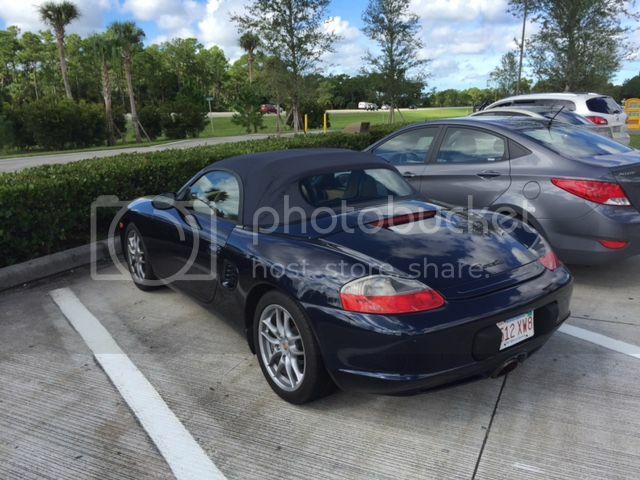 I am in Stoneham and also just bought my first P-car two weeks ago - 03 Boxster Base. Midnight Blue Metallic/Savanna Beige. New IMS bearing and DOF. Bi-Xenons. Just drove her home from FLA. PM me if you want to meet up. I can't figure out how to post a pic. Sigh. Anyway, never say she isn't special. You always remember your first. You are right about enjoying it while you can. I put the top down tonight for a run to Target! It was really nice car. First car always have been significant memories. Just a joke about your picture being upside down. Welcome along! Sorry I am not so quick these days. The pics look fine on my computer but on my phone they are not correct, weird. You are right grc0456! I came home yesterday and still cant believe I own it and it is in my garage. It should be on the road tomorrow and will go to Autobahn Performance on Monday to clear up some issues and do a more thorough examination. The wife and I are going down to Newport, RI for the weekend so I am hoping for good weather for top down driving. Cheers! scenery in Newport! If you haven't done so already, I recommend joining PCA. I just did and we are already planning a fun run activity with some of the North Country region (I think they and our Northeast region do a lot together) folks to NH the weekend after this one. Hey, look! I figured out how to post a pic! Taken on the drive back from FL (it was a little too sunny and hot to keep the top down all day). Hope to have some more pics after the weekend as I hope to finally be able to do a complete detailing. The PCA is on the to do list this weekend. I heard there are seminars/classes they offer for performance driving that i would like to look into. I am coming off a sportbike so i would like to learn how to handle car as best as i can.